The smart key organiser with a full metal casted construction with textured grip. OMEGAKEY 2.o™ may just be the most useful Gadget you will ever have! Infusing utility with style, the OMEGAKEY 2.o™ replaces the out-of-date keychain by streamlining your most important personal everyday carry items into one indispensable device. This Swiss Army-style key holder can be customized to include keys, USB drives, mini-tools, an inkless pen, bottle opener, nail file, Bluetooth-tracker tool and much more. OMEGAKEY 2.o™ is the lightweight and thinner key organiser that is more compact and stylish than the standard muddled bunch of keys! Noisy, messy & painful key pokes are a thing of the past with the OMEGAKEY 2.o™ as your keys are stored neatly and cleanly with the space saving design. The OMEGAKEY 2.o™ has an asymmetric design which means you can find your most important keys without looking. When you grab your OMEGAKEY 2.o™ you will find the key you want straight away, great in the dark and when carrying other things. The force to swing out the keys is easily adjustable by the torque of the bolts. Don’t panic! The OMEGAKEY 2.o™ is compatible with accessories and add-ons from the original “red” OMEGAKEY™, so you can add the tracker tool that will help you find your keys. The OMEGAKEY 2.o™ can be assembled with 1-12 keys, it comes with M3 bolts converter so you can use any length pan-head M3 bolts as you wish. 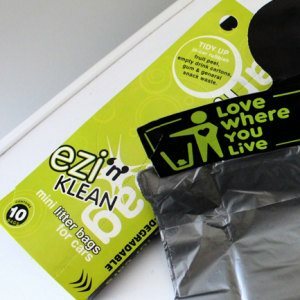 A low profile, flexible synthetic Polymers loop strap is included, where you can fix e.g. your car key. This can be inserted in the OMEGAKEY 2.o™ as spacers. Also included are 18 pieces of 0.5 mm synthetic Polymers spacers to minimize friction between the keys. Unique Patent pending inkless pen will never leak (writes in a light grey similar to a 9H pencil). DON’T BUY IF YOU HAVE LESS THAN AVERAGE EYES SIGHT! Offering you with the ultimate way to write in a neat and tidy style, this natural silver inkless pen from AU-MY Ltd would make a brilliant gift for people on the move. Designed to write like a pencil with a soft alloy tip that leaves a grey mark on the paper. The nib does wear away slowly over time but can be extended & sharpened. Lack of ink means that the pen doesn't dry out, will not leave ink blot stain on the pocket of your favourite clothes, will work regardless of where it is stored and any markings left will not smudge. GREAT FOR EMERGENCIES, WHEN YOU’RE ON THE MOVE. 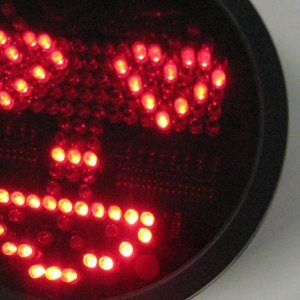 The handle is designed so that the user can find the exact tool or key in the dark, in fact you can use it blind folded. TELL A FRIEND about OMEGAKEY ™ (#EDC) Everyday Carry Tool for modern-day living. 1. Designed so it can be used with only one hand, leaving the other hand free. 2. The outer case is highly durable make it LAST A LIFETIME. 3. Reduce the bulk of your keys. 4. 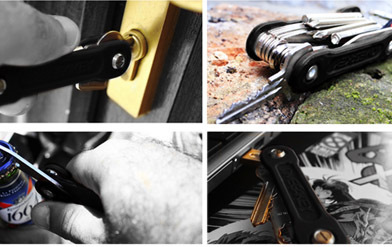 Eliminate jingle jangle noise of keys. 5. 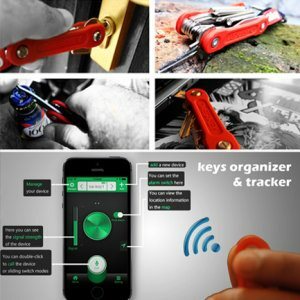 Smartphone key finder TRACKER - NO MORE lost keys or bike tools gadgets. 6. Tactile design that can find the right key or tool without looking. 7. Easy to add and remove items/Multi-tools. 9. Lifesaver tools for emergencies and first aid. 10. Holds bike repair and hex Multi-tools.